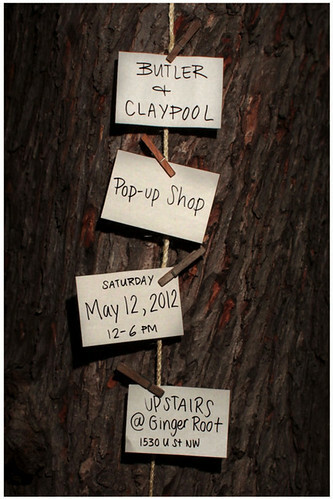 The next Butler + Claypool vintage shopping event has been planned! This time we’ve partnered up with our friends Kristen and Erin from Ginger Root, debuting their new, expanded space upstairs. Very proud of them – it wasn’t all that long ago that I’d bring in clothes for their expert tailoring in a spare room in Kristen’s apartment. May 12, 12-6. 1530 U Street upstairs. As always, expect unique vintage finds for him + her and socializing with great friends.